A personal welcome to all first timers. Come along and register early. A quick chat with Darren about what to excpect from ProBlogger Events, and a few plans to break the ice and make you feel comfortable. Avoid the Friday morning queues and come and register early. Then join us for casual networking in Hydrate Bar. Please register via the downstairs entrance to the Convention Centre from the hotel. Tea and Coffee will be available with some time to catch up and network before the welcoming keynote at 8.30am (doors open 8:15am). Ready to quickly attract your tribe of true fans and followers and turn them into dedicated email subscribers and dream customers? Go behind the scenes of how Jadah went from broke to book deal and built a hyper-connected, community-driven business reaching millions of brand ambassadors in just a few short years. Learn the essential community building strategies needed to grow your online business with a step-by-step action plan to fuel your passion that makes a difference and makes a profit. Join Benjamin as he show you how to apply Google Analytics without getting overwhelmed by reports. Learn practical techniques you can apply to your own Google Analytics data to improve and optimise your blog. This session will focus on the most important data you can use and is suitable for Google Analytics beginners, through to pros looking for new ideas. Are you yet to start a blog or are in the very early days of blogging? Then the blogging for beginners bootcamp is for you. The bootcamp will be comprised of two sessions specifically designed for those of you who are new to blogging. This first session will cover the foundations with Clare Hillier – blog set up and structure, niches, content and a brief look at SEO. The second session will be case study based with new Aussie bloggers Sonia and Melissa. You’ve built your blog and hit publish on a bunch of posts. Now what? Drawing on six years of blogging hits and misses, Clare will help you step up your blogging game with simple tips and insights that are instantly actionable and that get results. Why Pinterest is such a powerful tool, especially for women bloggers, and what it can do for your blog. The surprising secret to what type of content drives the most traffic and the 3 essential elements of a perfect pin. The three most important things you can do to improve your Pinterest page right now. How to use collaborative boards to dramatically expand your reach. Owner, Living Well Spending Less Inc.
Get off auto and take great pictures every day. In this session the team from Olympus will take you through the principles of photography, key settings and functions to help you get on your way to mastering your camera. To participate in this workshop you do not need to have an Olympus camera, however if you do have one our team will be able to answer any specific questions you may have one on one. If you don’t have a camera, Olympus will lend you one for the session. Please complete this survey question ahead of attending the workshop. Debunking the myths of videography and editing. Long perceived as challenging, videography is key to today's content creators with platforms like Facebook and Instagram. Amplify your story telling by developing video's by utilising key insights and techniques from Olympus. It's no secret why email is a hot topic on every bloggers list. The return is huge for any business using it properly. 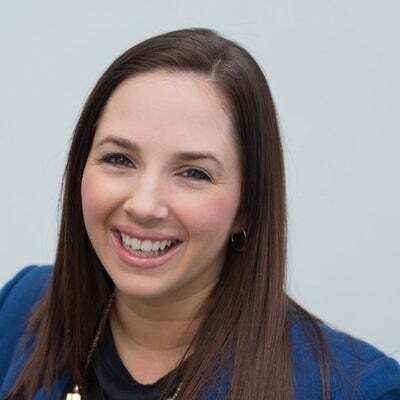 In this must attend session Alita is going to reveal the exact autoresponder strategies that have helped bloggers increase revenue by 403% in just 30 days. You'll leave with a deep understanding of the power of autoresponders. Alita loves this subject and will give you more than you expect. It's important to her that you leave with the exact 'how to' guide to implement a profitable auto responder strategy into your blog immediately. - How to split test correctly, most people do it wrong! One of the things we try to do each year at the Problogger event is shine a spotlight on Aussie bloggers. We know there is amazing knowledge in the Problogger Community and extraordinary stories of success by bloggers with audiences large and small doing their own thing, in their own way. In our Aussie blogger showcase, four Aussie bloggers will have the chance to talk for ten minutes to share a secret of their success. Our bloggers are: Kate Toon, Loren Bartley, Caro Ryan and Michelle Thompson-Laing. Click their names to read more about their sessions. The first session with Clare Hillier will cover the foundations – blog set up and structure, niches, content and a brief look at SEO. This second session is case study based with new Aussie bloggers Sonia and Melissa sharing the steps they took to get their blog off the ground and on the path to success. Blogging is not always smooth sailing though, so they will also share the challenges and obstacles they faced and how they overcame them. No bookings required, please just take any empty seat over the course of the lunch break and join the discussion. Full Schedule here. Join Pamela Wilson as she walks you through how to use basic design elements to make your blog looked polished and professional. This session is for non-designers: no art degree required! Your business may be small, but your brand can be BIG. | | With strategic marketing, great design, and the courage to get it done, Pamela Wilson — of Big Brand System and Copyblogger Media — will show you how you can build a BIG brand for your business. Through a few key photography tips & tricks take photo's that make your readers want to lick their screens. Learn trips and tricks on how to find and use natural light to tell visual stories, enhance mood and increase image quality. Love sharing products your love? Or creating flat lays to show what gear you take around in your bag? Then this workshop is for you. Learn tips and tricks on to light products to ensure they look great every time. I’ve failed and succeeded with e-books, e-courses and online cleanses to come up with the winning formula and I am so keen to share my tried and true methods to help create your e-product that sells. There have been over 25 thousand copies sold of my first ebook Fertilise Yourself which helped pave the way to e-courses, hard copy published books and other online products. I’m excited to show you how you can turn your vision into a viable reality, with as much ease and fun as possible – because after all it’s all about the ride that comes with the prize – and who doesn’t love making a little pyjama money? We will explore how to create your e-product from the early stages of creation right through to hosting and marketing. When you get the formula right your product will shine. How to name your course, select a price point, how to host it. If you regularly find yourself in low light situations at home or at events then this workshop is for you. Learn how to manage light to ensure you take great photo's of locations and people everytime. Including a demonstrations of off camera flash to take great photo's of people at night or indoor functions. We have all been online long enough to have encountered criticism from people whose faces we will never see. Some of it is constructive, and some if it is awful, anonymous assumptions and slurs that we do our best to ignore. Sometimes our emotions prevent us from making a distinction between that which could be helpful and that which is just plain bullying. I have spent 14 years confronting both—from comments to emails to websites to actual forums dedicated to me and my character—trying to figure out the best way to pick up and move on when I encounter something particularly vicious. Because it isn’t going away. There isn’t a cure for it. It cannot be fixed or stopped. Learning how to deal with both is a factor of life that our children will have to endure on a scale we never did, in ways we probably can’t imagine. I’ve tried and failed many times to react in the best possible way and have finally learned that “reacting” isn’t the answer. The answer is something much more fearless. Meet in the lobby for a morning photo walk with Quett Lai from Olympus and Darren Rowse. (Open to everyone, not considered a workshop). Brandon is an ordinary 21 year old with an extraordinary story to tell. At just 12 years of age Brandon was kicked out of school, at 14 he nearly died from drinking too much alcohol, at 16 he created an app development company and by 19 Brandon made 4 top-100 apps. But what happened in between? Let Brandon take you on his journey – be inspired to do what you love no matter how young or old you are. Get tips, tools and tricks that are working right now on one of the fastest growing social media platforms–– Instagram. With over 330,000 Instagram followers, the co-founder of Simple Green Smoothies Jadah Sellner will share the behind-the-scenes secrets and strategies to growing an engaged Instagram following. Struggling to find time to grow your blog and fit it all in to your busy schedule? Carly and Christina are both full-time bloggers who grew their blogs while working full-time at day jobs. They have practical tips and hacks to share with bloggers who want to grow their blog with limited time each day. They can show you how to schedule, pre-plan and avoid blogger burnout while juggling a hectic schedule. How to pinpoint the necessities for your blog/niche to effectively prioritise your time. How to avoid blogger burnout and use positive goal setting tools. How to plan your editorial and social media calendars and how to generate endless ideas. The art of batching and harnessing your most productive hours. Scheduling tools and organisational hacks. Dan went from looking for a job to running a million dollar WordPress business in less than 2 years. He grew the business through blogging without spending a cent on advertising. In this session he will present his hits, misses and the actionable pieces you can take out and apply to your own blog. Gain the benefits of the manual settings on camera and discover your light meter. Photography is all about the capture of light and the more controls you have at your disposal to do that, the more amazing your images will be. Content events are time-sensitive events that build excitement (and email list sign ups) like nothing else. Join Pamela Wilson and she shows you how to harness the power of content events, even if you have no experience and feel too “shy” to host anything live. language, and act like a pro. The two way street – brands listen up! – this is how to roll. This year we are featuring a Small Business Bootcamp at Problogger Training Event. The bootcamp will run over two sessions, the first session is a presentation from Dan Norris who will show small business owners how they can grow their business through blogging. The second session will be teaching through the case study of two successful small Aussie businesses. They will share how they have used blogging and social media as effective marketing tools and to build a community around their businesses. The session will be moderated by Kelly Exeter and she will be joined by Michaela Clarkfrom tradiesva.com.au and Helen Edwards from recycledinteriors.org. We have included plenty of time at the end so you can have the opportunity to ask questions to learn further from their experiences. While aimed at small business bloggers, this session will be jam packed with useful tips for any blogger who has a product or service they sell from their blog. TABLE 5: Are the days of the family roadtrip over? Monetising a personal blog can be trickier than monetising a niche blog. Heather Armstrong from Dooce and Mrs Woog from Woogsworld will share their experiences, strategies and tips for sustaining a profitable personal blog. There will also be plenty of question time so come along prepared! You work so hard to find readers to visit your blog, you work even harder to get them to actually read about what you have to offer, whether that be products to sell or services to offer. Are your landing pages doing all that hard work justice? In this session you'll learn how to create high performing sales pages. From the words you use, the layout, to how you build an emotional connection with your readers in the way that most suits your needs. This will be a super practical session with lots you can take away and apply to new or existing landing pages.